“Learn a lesson from the fig tree. When its branch becomes tender and sprouts leaves, you know that summer is near. 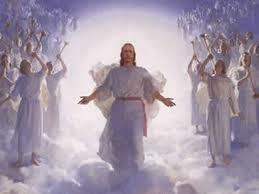 In the same way, when you see these things happening, know that he is near, at the gates.